Flowers one week earlier than other upright verbena on the market. Most uniform habit across the series, compared to the competition. 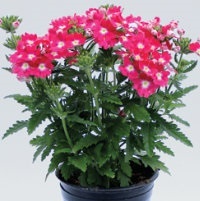 Features the same heat performance as EnduraScape in a compact patio-pot habit. All colors can be treated the same culturally. Proven superior powdery mildew resistance when compared to the competition. Ideal for quart and high-density, pot-tight production, as they won’t tangle on the bench. NEW Violet Blue: Features a more uniform habit to match the rest of the colors in the series. Plant Growth Regulators (S) = spray / (D) = drench: Generally not needed. Bonzi(D) at 1-3 ppm two to four weeks after transplant will tone finished growth when grown warm in the greenhouse. Cool night temperature during production cycle promotes tight habits. Comments: Regularly allow plants to dry between irrigation. Cadet Upright is the best choice for your 1 qt. verbena production. It is naturally compact. Follow these regional culture recommendations to get the perfect quart every time. 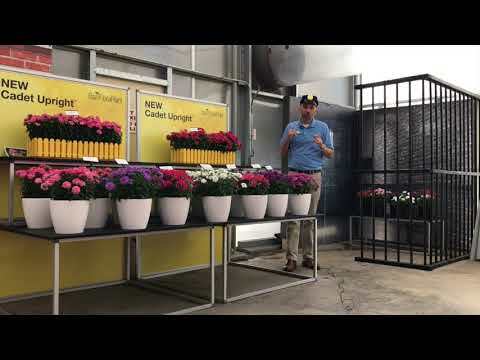 We were able to successfully grow Cadet Upright Verbena with no PGRs under cool nights with average daily temperatures of 60°F (16°C) or less. We pinched approximately 4 weeks after stick and transplanted 2 weeks after pinch. When ADT exceeds 60°F (16°C), we recommend B-Nine 2,500/Cycocel 750 ppm tank mix spray 2 weeks after transplant. With low light levels during Midwest Spring conditions, a 1 ppm Bonzi drench 4 weeks after transplant held plants and controlled excessive growth with no effect on flowering. 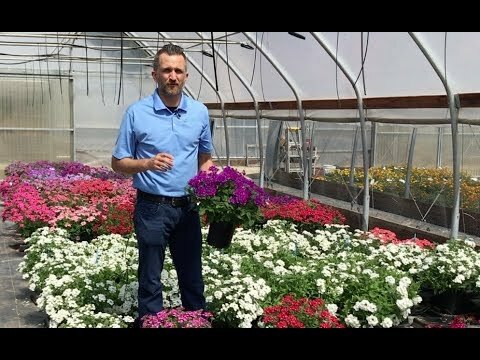 An early spray application to liners of 3 ppm Bonzi 2 weeks prior to transplant is recommended to promote branching and tone plants. We were able to successfully grow Cadet Upright Verbena with no finishing PGRs with average daily temperatures in excess of 72°F (22°C). If temperatures spike late in the crop cycle, use a Bonzi 1 ppm drench.